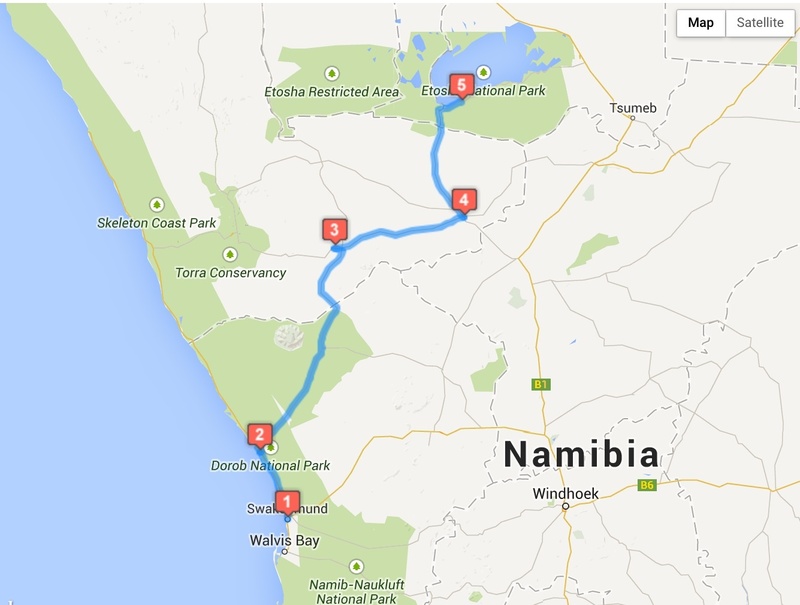 Leaving Swakopmund, it was time to continue our journey further north in Namibia. 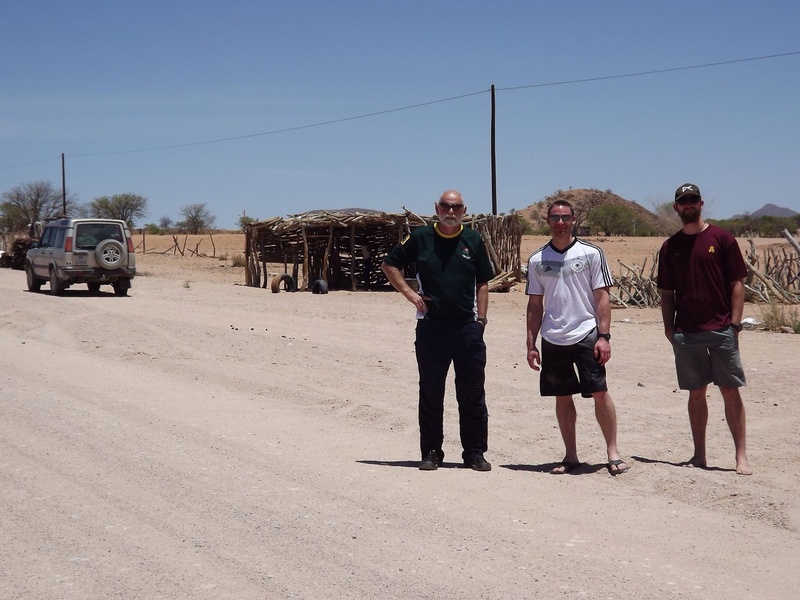 Allan, Paddy, Jesse, and I were all packed into the Land Rover ready to make the day journey to Etosha Game park. We headed north along the coast for a little ways until an old shipwreck was spotted. 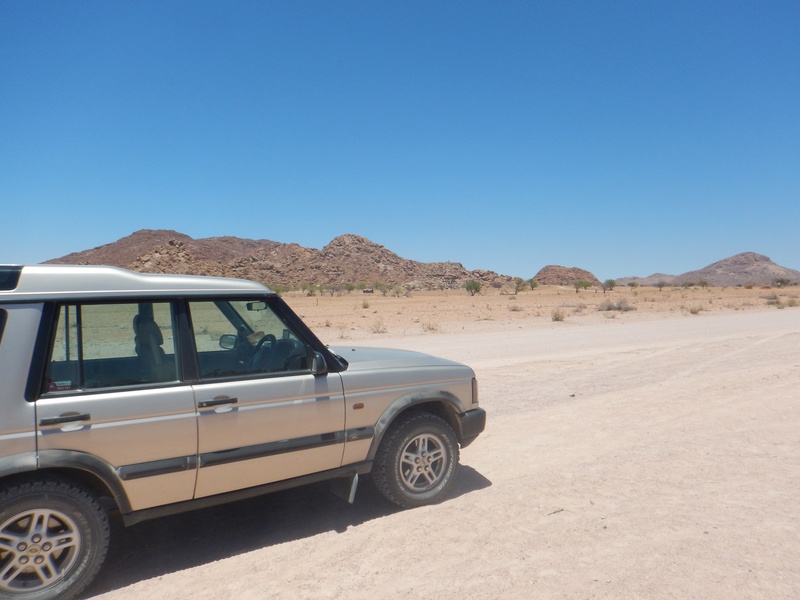 This was the beginning of Skeleton Coast which continues all the way to Angola. Excitedly, we all hopped out of the car to go view the ship that was wrecked on the coast many years ago. The view was great and the ship itself was not far from the beach. 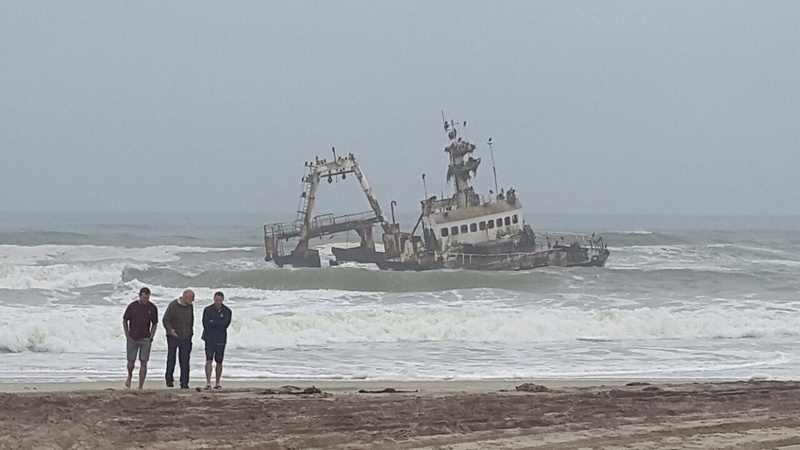 After viewing the shipwreck, we stopped in Hentiesbaai for some coffee and a quick bite to eat. It was time to leave the ocean behind and head northeast. 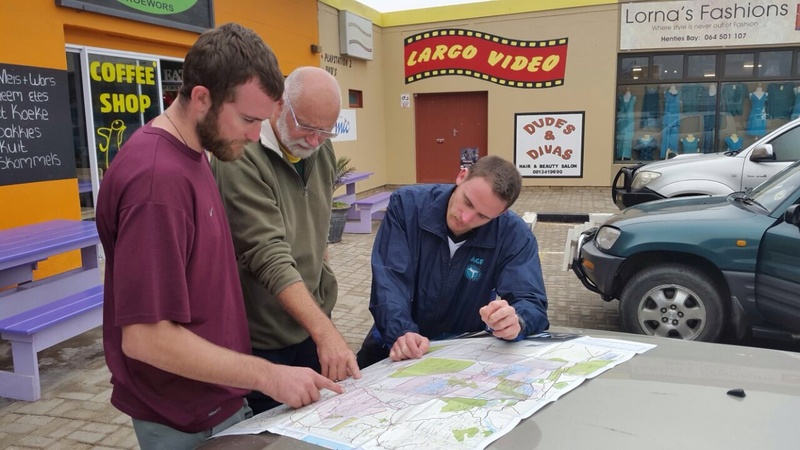 With the Landy all fueled up and the same with our stomachs, we glanced over the maps one more time and were on our way. Heading through Khorixas, the drive was via dirt road. This was fun to say the least and we hit some good dips and bumps that sent us flying in the air inside the car. It was desert landscape all around us and we stopped outside a tiny village to capture a few pictures and talk to some locals. Then we were on our way again! Passing through Outjo, it was pavement here on out. Since this was the last major town we would be in, braai supplies were needed. Arriving just outside Etosha, we had accomodation at Etosha Village. This place was wonderful, permanent tent setup with a walled in outdoor shower. Upon arriving, we unloaded the car and got all settled in. Then it was time to head to the pool, relax, and enjoy the water. After a long day of travel, nothing could beat it. 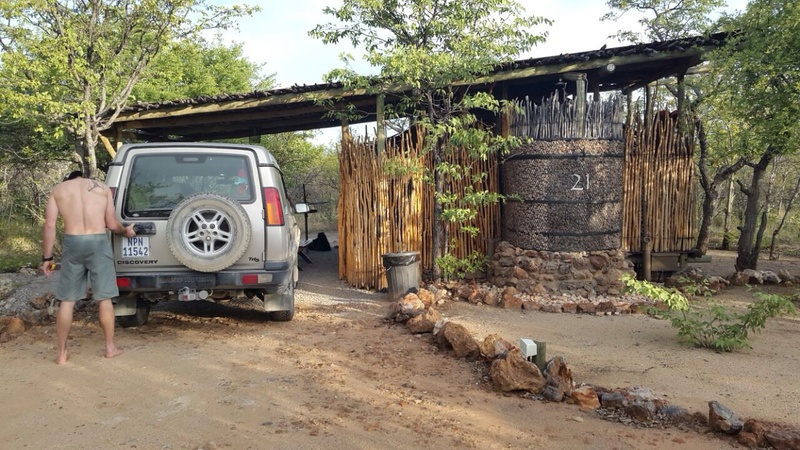 Tomorrow we enter the game reserve to enjoy all the amazing animals for three days.